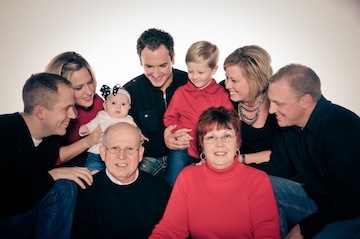 We are Family – our families are the ultimate cornerstones of our culture. Let us pause time and preserve history with a family portrait of you and your loved ones. Our sessions are fun (no matter if we take you and our sofa outside or photograph you in our studio) and we pride ourselves calling them composed caoses and we are sure that you know what this means if you grew up in al large family. Our sessions are designed to be the perfect experience for you and your family. It took a lot of energy and time to get everybody together for the photo session, so let us take care of capturing happy moments with your loved ones and create memories that will last a lifetime. Studio Portraits sessions including color prints starting at $250.